In 2002, the Netherlands Flemish Accreditation Organisation (NVAO) was established by law to guarantee the quality of bachelor's and master's degree programmes. Dutch accreditation is based on peer review of programmes. Flanders participates as an observer on the Board and a treaty will be developed to formally ensure that the accreditation organisation works for both the Netherlands and the Flemish community of Belgium. BBA and MBA programmes accredited by the government agency NVAO. Internationalisation of quality assurance is furthered by several actions - firstly, bachelor's and master's degrees must satisfy international standards, using the general descriptors as developed by the joint quality initiative. Secondly, peer review implies the participation of international peers. Finally, the peer review does not have to be organised by a Dutch organisation, but may also be organised by a foreign quality assessment/accreditation organisation. 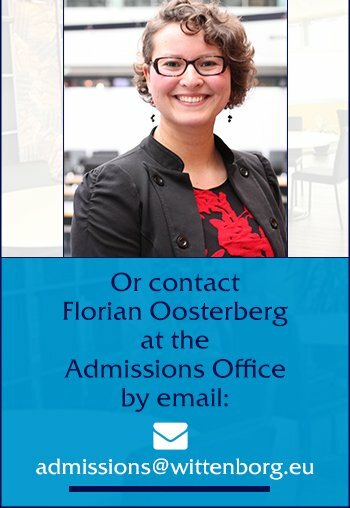 Wittenborg’s Bachelor of Business Administration and its MBA is accredited by the NVAO (www.nvao.net). A copy of the accreditation status of programmes can be downloaded from the site of the NVAO or Wittenborg’s website. At Wittenborg, our Bachelor of International Business Administration (IBA) programmes were first NVAO Accredited in 2006 and re-accredited in 2012, and our Master of Business Administration (MBA) programmes were accredited in 2015. The IBA Bachelor's programmes have been approved again in 2018.